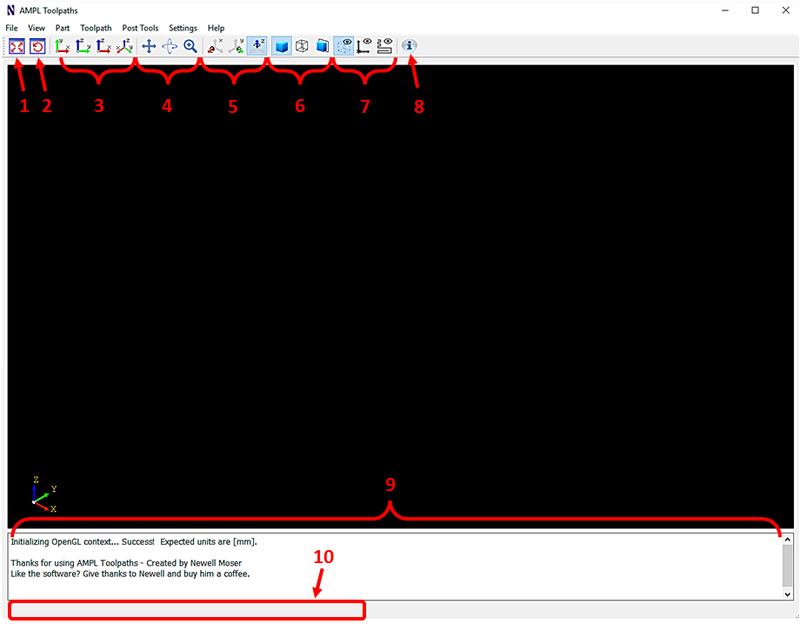 AMPL Toolpaths is a minimalist software product designed for the purpose of creating and visualizing incremental sheet forming (ISF) toolpaths. ISF is a flexible process in which a sheet of metal is formed by a progression of localized deformation. It is flexible because specialized tooling is not required; a simple tool moves over the surface of the sheet such that a highly localized plastic deformation is caused. Hence a wide range of 3D shapes can be formed by moving the tool along a correctly designed path. The principle goal which motivates the development of ISF is the possibility of forming sheet metal without the need to manufacture specialized dies. This is particularly advantageous for small batch or customized production. ISF is still in active research and improved forming strategies are continuously being proposed in the field. The generation of toolpaths in ISF presents rather unique challenges compared to conventional toolpath design, as is commonly found in CNC machining. In CNC machining, it is safe to assume that material will be removed/cut in and around the tool’s current location, which in CAD terms, can be captured using a simple negative boolean operation between the tool and solid work piece. On the other hand, the metal sheet in ISF bends, locally thins, stretches, and springs-back during the forming process which are all challenging to predict and account for during toolpath generation. AMPL Toolpaths uses various novel procedures, many of which are still being actively researched (e.g. AMPL website), to overcome some of the aforementioned challenges and produce reliable toolpaths specific to the ISF process. The CAD engine in AMPL Toolpaths was coded on top of Open CASCADE Technology 7.1.0 (LGPL V2.1) while the front-end, or graphical user-interface, was designed using Qt 5.8.0 (LGPL V3.0). These C++ libraries were chosen in an effort to keep AMPL Toolpaths “free” in terms of licensing while simultaneously providing a modern, intuitive implementation of today’s popular CAD technology. AMPL Toolpaths, however, is not a substitute for modern Computer-Aided Engineering software (e.g. Dassault Systèmes SolidWorks, Siemens NX, PTC Pro/Engineer, etc.). The design and creation of general CAD surfaces, which represent the user’s desired part to be formed, must still be made using external CAD products and then imported into AMPL Toolpaths. 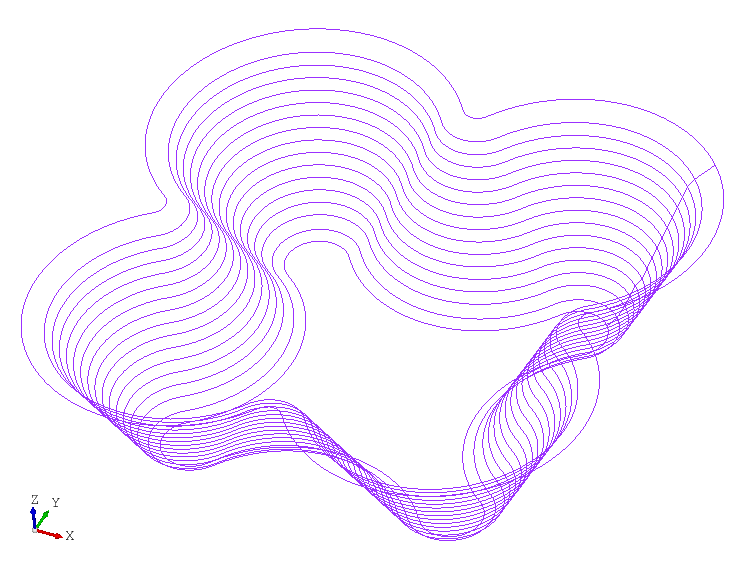 If you’re interested in learning more about AMPL Toolpaths and/or trialing the software, please contact Prof. Jian Cao. Figure 1 Description of the various tools that are shown during the startup screen of AMPL Toolpaths. The dockable View Toolbar is shown by the buttons described in 1 – 8. The Workspace where parts and toolpaths will be visualized encompasses the large, central black box. Progress Information is provided to the user in 9 (the History Dialog), while small user-tips are provided by hovering over each button and simultaneously given by 10 (the Status Pane). Figure 2 Adaptive z-slicing to help retain a constant scallop height between subsequent tool passes, which helps to directly control the resultant part’s surface finish. Figure 3 Both convex and concave CAD geometries can be used for toolpath generation of either SPIF, TPIF, DSIF, or ADSIF machine configurations all while using a variety of advanced features: spiral generation, varying the squeeze factor, output local geometric the local surface normal vector and curvature tensor, linear ramping between z-level slicing, and much more. Partial support from the Lightweight Innovations for Tomorrow (LIFT) consortium https://lift.technology, sponsored by U.S. Office of Naval Research. Academic & Industry Members of the LIFT Agile-R1-1 project: UMich, OSU, MIT, Boeing, and Lockheed Martin. Further support from the National Science Foundation (Graduate Research Fellowship Program) and Northwestern University. Many thanks to all graduate students for your beta-testing research help!